Free workouts, nutritional tips, recipes & fitness challenges. I never thought that I'd need to take a Magnesium supplement, but it turned out that my deficiency in Magnesium was actually the cause of many negative health symptoms, aches & pains. 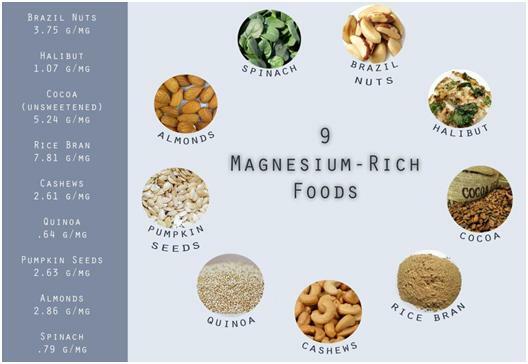 Since I have started taking Magnesium, many of these ailments (if that's what you want to call them…) have disappeared! 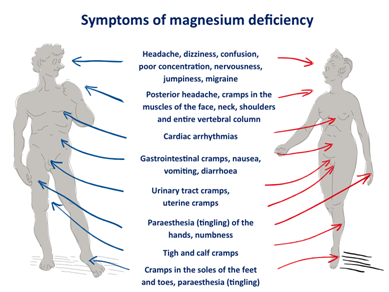 I couldn't keep this bit of knowledge a secret from you all because it could be so helpful to so many people out there who suffer from the following adverse side effects of a magnesium deficiency and have no idea that it is possibly from a deficiency in magnesium. So if you experience any of the symptoms listed below, try taking a Magnesium supplement. Give it a shot! You can only gain something good from it! Magnesium is an essential mineral that your body requires to stay healthy. Some elemental bodily functions that magnesium plays a role in are body temperature regulation, detoxification, energy production, & formation of healthy bones and teeth. Zinc, calcium & magnesium go hand-in-hand, meaning that they each play a part in helping the other get adequately absorbed into the body. Magnesium aids in the absorption of calcium and zinc aids in immune system support. Additional health benefits of healthy levels of magnesium include muscle function improvement, prevention of osteoporosis, prevention of cardiovascular diseases, aids in treatment of diabetes, and can even minimize risk of premature labor. How should I achieve adequate levels of magnesium? Staying Alkaline... the Holy Grail for Health?